Since this past February, I’ve been working on a new transit map, based on the Mayors’ Council Vision for Metro Vancouver (available here). 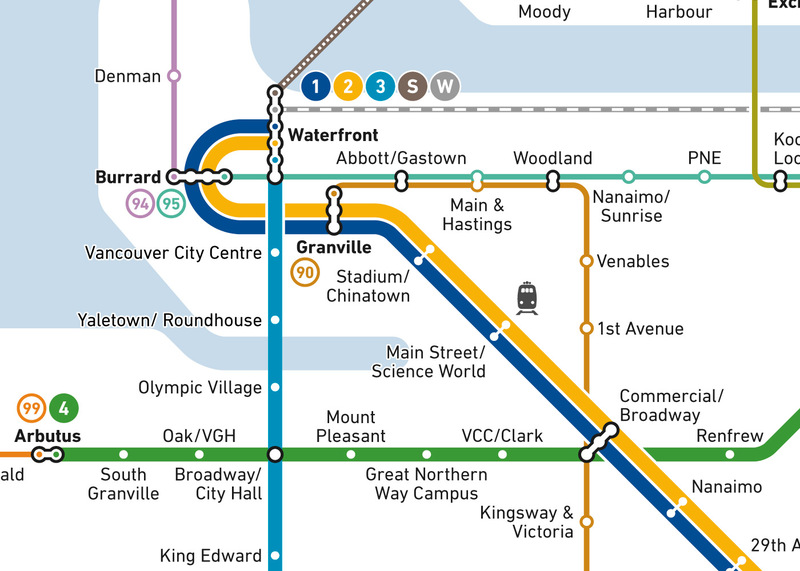 Conceivably, this map is what Metro Vancouver’s major transit services could look like by 2026. According to the Mayors’ Council Vision, SkyTrain will extend down Broadway to Arbutus within the next 10 years. LRT will be constructed between Guildford and Newton in 10 years, and down Fraser Highway to Langley in 12. There’s no firm timetable on B-Line service, though a chart in the Vision indicates that every route in the map will be delivered within 10 years. 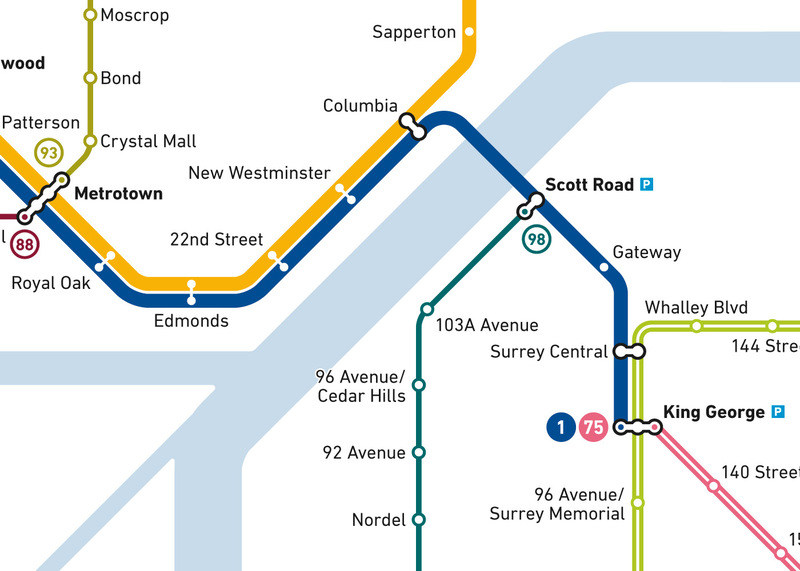 Broadway Corridor SkyTrain and Surrey/Langley LRT routing and station locations are based on TransLink’s Rapid Transit Alternatives Analysis documents (available here). B-Line routes are my best guesses based on existing bus services and the Mayors’ Council map. Station naming is entirely speculative. I’ve had to put this project on hold for the past couple of months due to other work. I’d say it’s about 85% done. It needs a little bit of cleanup, and then I will write a more thorough review of the whole map and system.